In her adventurous youth, Emily was an aviatrix who fearlessly walked on the wings of the family biplane. Just as she once plummeted dizzyingly through space, she is now falling through inner space as the result of a stroke. This extraordinary musical takes us inside Emily’s mind as this gallant woman gropes her way toward the cave of memory, away from the scrambled words and short-circuited thoughts that hold her captive. 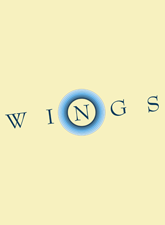 With breathtaking simplicity, WINGS charts Emily’s hesitant recovery as she begins regaining the vocabulary to accompany her reawakened emotions. But a relapse hurls her back into the void, this time to face death. In this musical’s exultant view, however, Emily has merely taken flight once again, the curiosity and bravery that prompted her girlish exploits having seized her anew. Klavieruittreksels en eventuele libretto dienen apart besteld te worden s.v.p. aangeven op het offerteformulier. Kies eerst de juiste instrumentale bezetting, alvorens de offerte aan te vragen. NOTE: In the original production actors doubled in the roles of Doctor/Mr. Brambilla and Nurse/Mrs. Timmins.